I have gotten many requests to create a Pre-Algebra Interactive Notebook from teachers that have purchased my Algebra Interactive Notebook. 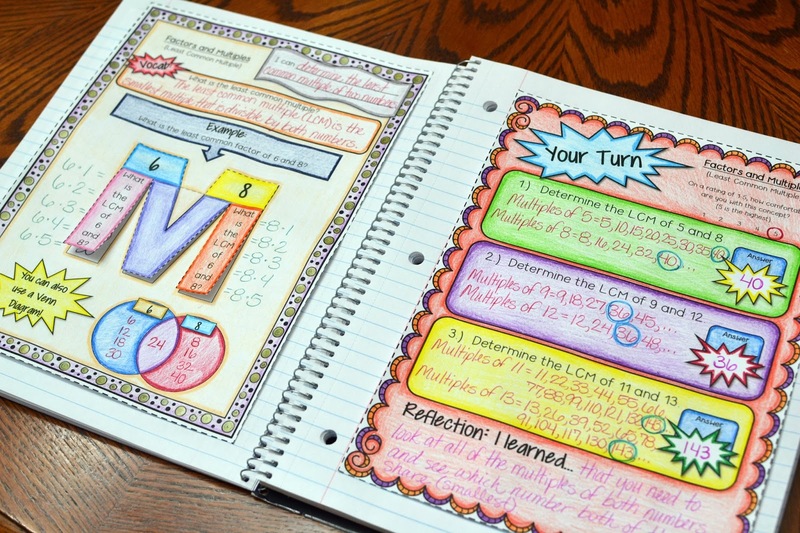 The feedback that I have gotten from my Algebra Interactive Notebook is amazing! It has pushed me to create a Pre-Algebra Interactive Notebook with the same format as my Algebra Interactive Notebook. So, my Pre-Algebra Interactive Notebook has the "I can..." statements for each left page (or right - however you want students to glue it into their notebook) and the rating scale for the right side (or left). Each concept includes a two pages. The left page is aimed more towards direct instruction and the right side is "Your Turn" which is aimed towards students applying their newly acquired knowledge.